Following up on my list of best first-time reads of 2018, here are the best books I've returned to this year. These are books that not only survive multiple readings but become richer on repeated reads. 2. Rick Bass, Winter. There’s nothing I’ve read quite like this book. I read it in summer and kept thinking, like Bass, I’ve got to stockpile more firewood. 3. Linda Cline, The Ghost Of Cramer's Island. I read this for the first time in 3rd grade. It has been years since I reread it and it still feels great. Better than Where The Red Fern Grows. 4. Kurt Vonnegut, A Man Without A Country. 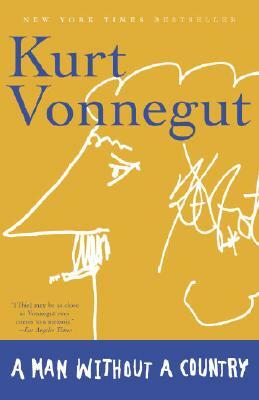 Thank goodness Vonnegut only had George W. Bush as the worst president in his life. He might have killed himself if he saw who we have now. 5. Christopher McDougall, Born To Run. People think it’s just a barefoot running book. It’s hardly that. McDougall has written a nonfiction thriller as good as anything I’ve ever read. 6. Stephen King, On Writing. Anyone who thinks Stephen King isn’t a brilliant writer hasn’t read this. Great memoir and good advice for writers. This keeps me writing. I read it once a year. 7. Annie Dillard, The Writing Life. I forgot what a poet Dillard is. I wanted to copy huge sections out of this. The word lyrical may have been coined to describe this book. 8. J.K. Rowling, The Harry Potter Series. Every summer my daughter and I each reread these books. I never tire of them and they shine as bright as they ever have. Rowling is supremely gifted.